The Chess & Checkers House offers a variety of classic board games for indoor and outdoor play. On fair weather days, chess and checkers pieces are loaned for play on one of our twenty-four, stone, gaming tables located outside on the terrace. A limited number of indoor game tables are available rain or shine. 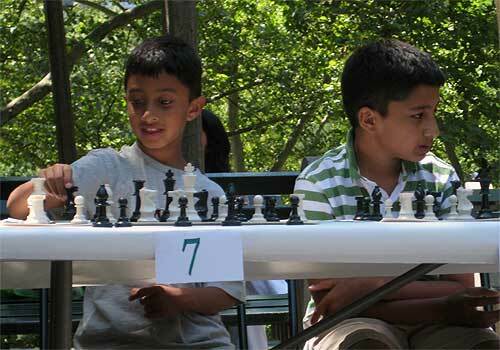 School groups may schedule a dedicated session of game play at Chess & Checkers House. Board Games sessions for groups are limited to fair-weather days, when outdoor tables are accessible. Request a Group Reservation.